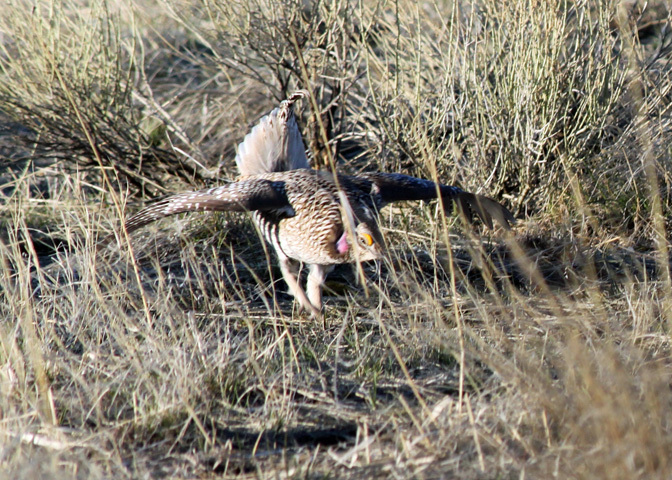 Sage- and sharp-tailed grouse are listed as threatened species in Washington State. Population trend data indicate that populations of both species continue to decrease. Without intervention, these grouse risk complete extirpation in the future. The Washington Department of Fish and Wildlife has recovery plans for both species that begin with population monitoring using lek surveys. Auduboners can help by volunteering to assist with the surveys. After you register on CERVIS as a WDFW volunteer, located the project entitled "Lek Surveys and other grouse recovery activities" and register for it. You will then be contacted to complete the registration.